As a family we’ve flirted with the idea of getting an SUV, but the most recent flirtation has been with electric or hybrid cars. The Lexus ticked both of those boxes in an instant, so we jumped at the chance of a week-long test drive. On delivery, the RX L looked long. And it is. Although it’s modelled on its RX sibling, it’s over a metre longer to accommodate a third row of seats. 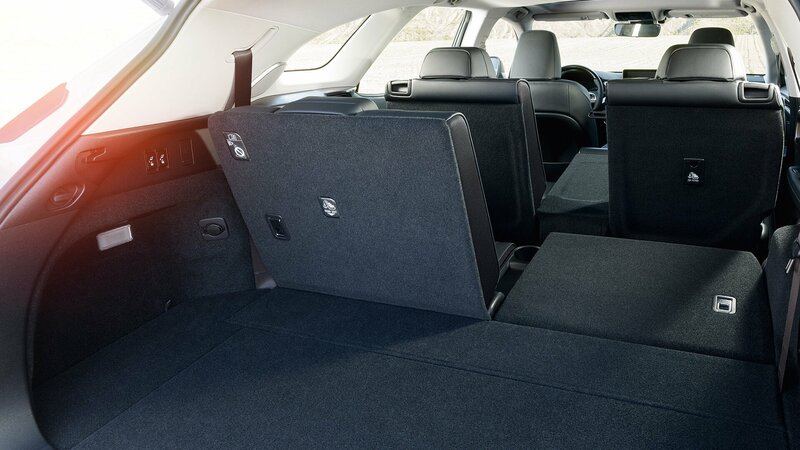 Those rear seats fold flat of course to enlarge the boot area, which possibly isn’t as expansive as you might want if you’re looking at seven seaters like the Q7. The seats themselves are probably only suitable for kids, but you could bundle in a couple of adults if you’re the designated driver on a night out. So, onto driving. As we had the car for a week, we completed some long (airport run) journeys as well as pootling around town. The first thing that strikes you, if you haven’t driven an electric car before, is the silence. It does take some getting used to, pulling out without hearing the engine rev. You can choose to run on electric all the time, but we stuck with the hybrid capabilities. 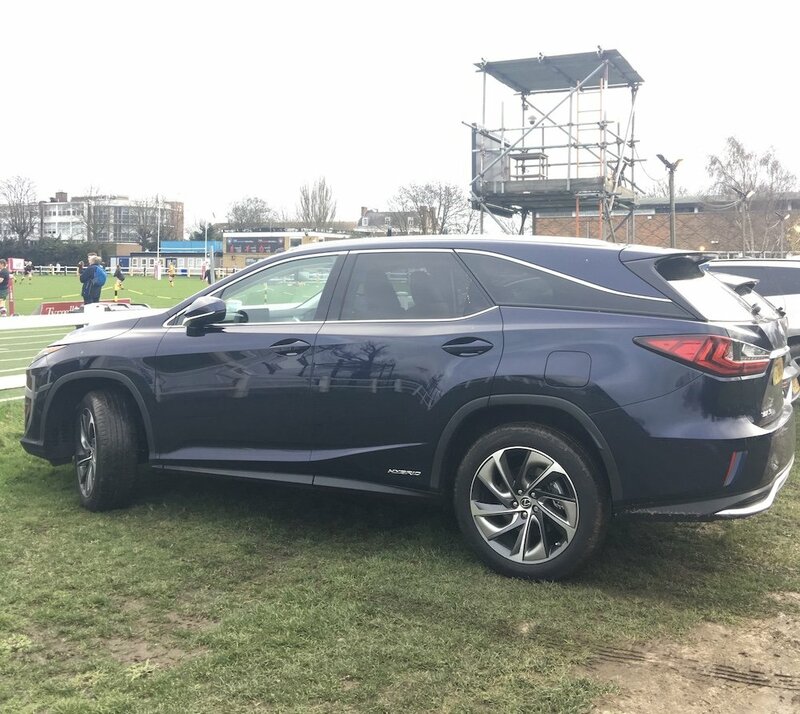 Lexus stats suggest the RX L can get up to a fuel economy of 47.9mpg and although we were rubbish at keeping track, after a week, only a quarter of the tank of petrol had been used up, and most of that was a motorway drive to and from Gatwick. It’s a comfortable ride around town, despite its size. Visibility is great, and we found the interior controls easy to use. (We did have a bit of a fight with the sat nav, but I’d blame the user for that!) Our children, who often get car sick in SUVs, didn’t with the RX L which means a huge thumbs up from us! And the other plus point, from a choosing electric point of view was the fact that the car self-charges. No need to panic and find a roadside charging point. Flirtation over. We may have found a long-term partner.